The passion behind Zachary Bernard’s transactions practice runs as deep as the oil in Texas. From childhood memories made in courthouses investigating leases alongside his father, a third-generation member of an oil-and-gas family, to his pre-law school years spent in Texas fields scrutinizing instruments as a petroleum landman for exploration and production companies, Zachary has strong ties to the energy industry. 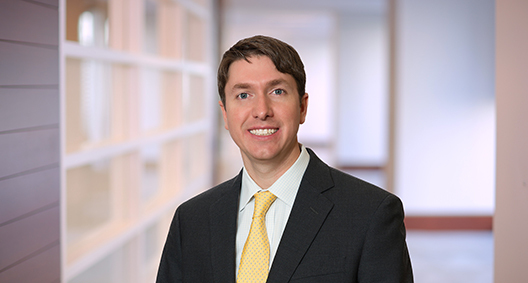 Today, his background merges with proven legal insight to facilitate a range of representation, including counseling E&P companies on resale securities, participating in leasehold acquisitions in the Permian basin, and providing support on commercial and upstream transactions. Involved in acquisition of offshore equipment provider for $20 million cash deal. Involved in acquisition of oil field service provider with $142 million purchase price. Member of team that drafted and negotiated commercial agreements for the provision of goods and services to major exploration and production (E&P) companies worldwide. Represented Texas-based E&P company with respect to resale securities. Assists in shelf registration and takedown for Texas-based company. Assists E&P companies with compliance on SEC matters. Assisted in mergers and acquisitions ventures by performing due diligence on target companies, providing support on the purchase agreement, and implementing integration procedures to enable efficient and successful legal functions. Participated in several leasehold acquisitions in the Permian basin. Member of team that maintained anti-corruption/compliance program for publicly traded global oilfield service provider.